Well…. 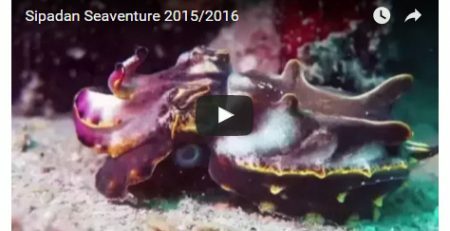 2017 is here and we were really happy to share the holiday period with our awesome diving guests. 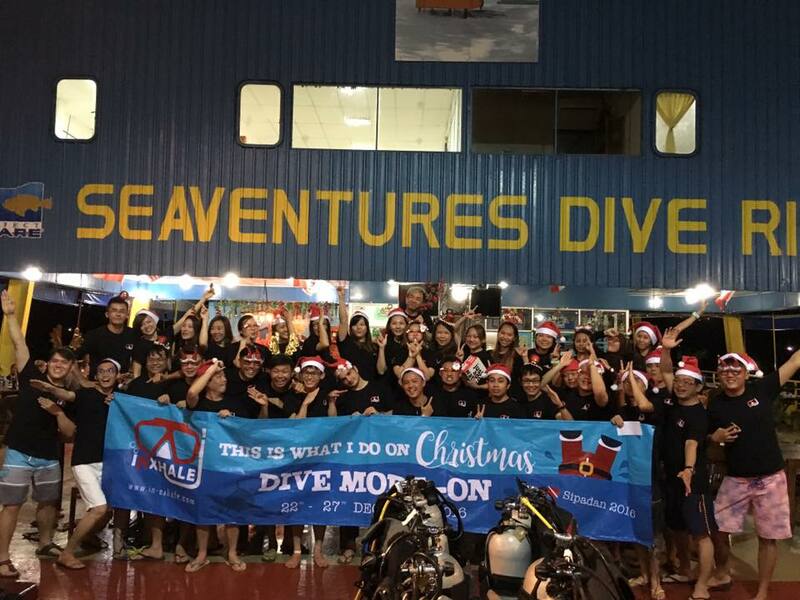 The dive team spent Christmas with our friends from In-Ex Hale Divers Kuala Lumpur. They brought nearly 40 divers from their dive club and we managed some superb, festive-themed dives. 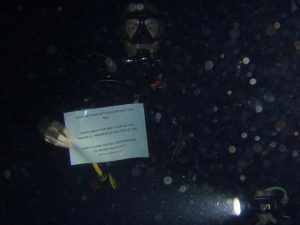 We saw the new year in with a special midnight dive. Ashley, our resident marine biologist, and Ulrich, a long-time friend of Seaventures, celebrated the new year from underwater. Here’s a photo of the guys celebrating at midnight! As well as midnight diving, Ashley has also been giving a series of marine biology talks to our guests. The series started with a talk on Coral reef formation, reproduction, and, some of the significant threats faced by our reef systems at a global and local level. This includes Ghost Nets – lost/discarded fishing nets that can float around the ocean for years, indiscriminately catching fish. Ashley also showed the very real effects of plastics and debris on marine animals – sadly, some fish and seabirds mistake plastics for food, and, once eaten, they remain in their digestive system for years without breaking down. On the plus side, Ashely noted that the reefs around Sipadan were in a pretty good state of health. 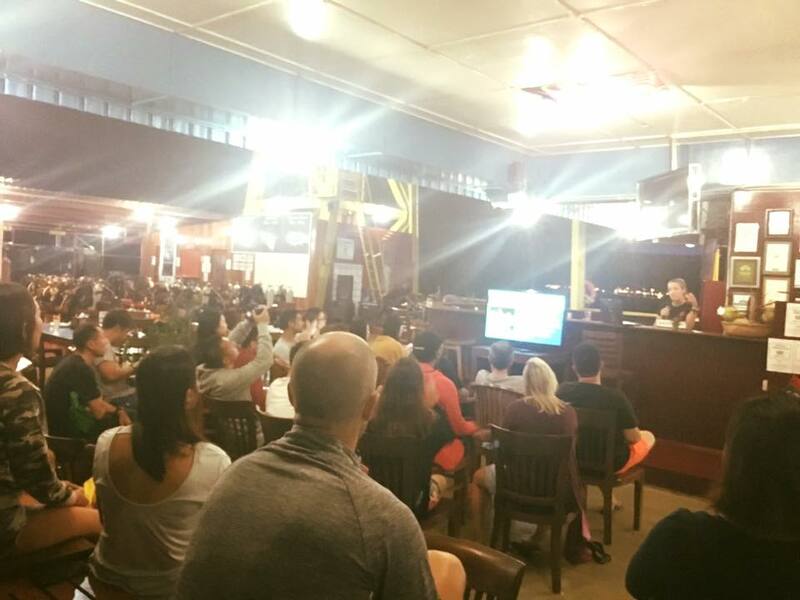 On New Year’s Eve, Ashley continued her series of talks for our guests – this time on marine predators. Ashley focused on the predators that we encounter around Sipadan and Mabul. Fortunately, none pose a threat to humans. Ashley showed some fascinating footage of predators in action. 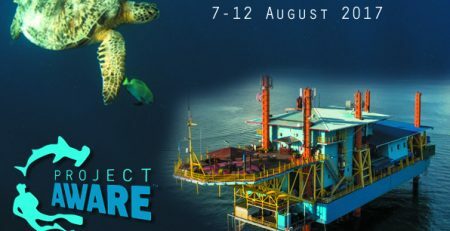 These include White Tip Reef Sharks, Peacock Mantis Shrimp, Lionfish, Frogfish and Blue Spotted Rays. Guests were particularly surprised by the sheer power of the Peacock Mantis Shrimp. Ashley was able to show footage of it smashing a piece of glass! We’ll try and get the presentations on to our Facebook page in the next few weeks. We hope to continue this series of talks – hopefully we’ll see you at the next one. Once again, we would like to wish everyone a Merry Christmas and Happy New Year 2017!